Braunschweig, February 26, 2019 – Alphacool, the specialist in PC water cooling, is announcing a chrome version of its Eisbaer Solo. 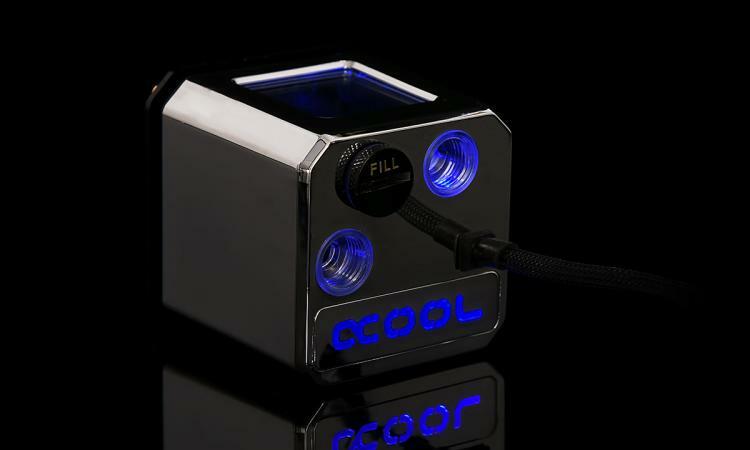 This combination of reservoir and pump can be used as a compact yet powerful base for any PC water cooling setup. The shiny chrome model is added as a new material variant for the Eisbaer Solo, which was previously available in black only. The Eisbaer Solo Chrome features a smooth, polished base of pure copper, which incorporates extremely delicate cooling fins for an optimal heat absorption and high cooling performance. Alphacool has placed the pump and reservoir directly on top of this base. The reservoir offers an input and output connector with G1/4” thread to ensure compatibility with most attachments. The fill port on the top of the reservoir lets the user quickly refill cooling liquid, if necessary. 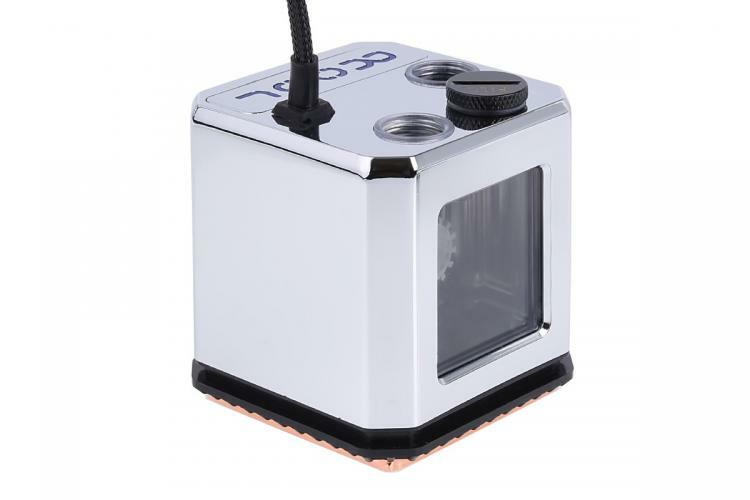 The pump in the Eisbaer Solo is the proven Alphacool DC-LT Ceramic Ultra Low Noise, which is also used in Eisbaer LT models and the Eiswand external water cooling set. The DC-LT runs at 2600 RPM and can be regulated to between 7 and 12 volts using an optional adapter cable or potentiometer. With a power consumption of only 4 watts it is one of the most efficient pumps on the market, yet still offering an impressive head capacity of 0.85 meters. Despite its high performance, the pump has a very low noise level, which has been confirmed by the many independent reviews of Eisbaer All-in-One cooling solutions. The Eisbaer Solo Chrome is now available in Aquatuning’s online store at a suggested retail price of €54.95 / £49.73.